Angel loved her nurses. 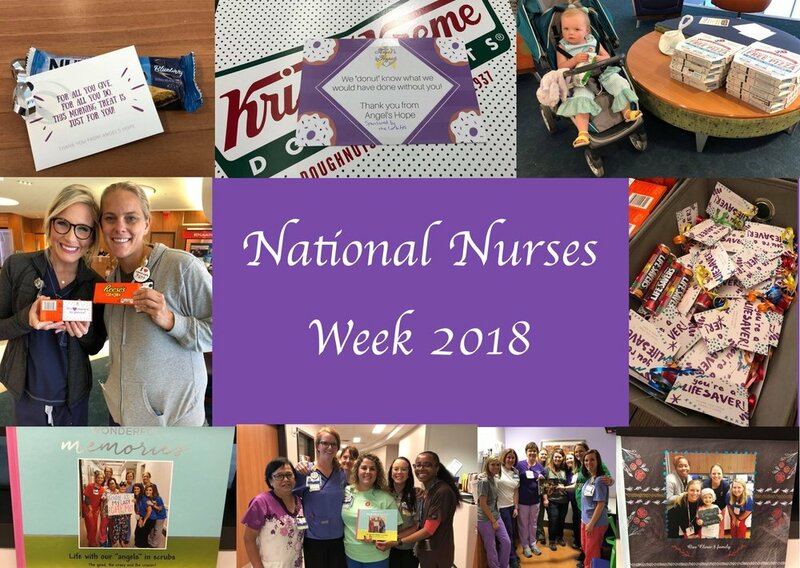 She called them her "best friends" and every year, during National Nurses Week, she wanted to do something special for her friends. Angel's Hope has since kept up that tradition. 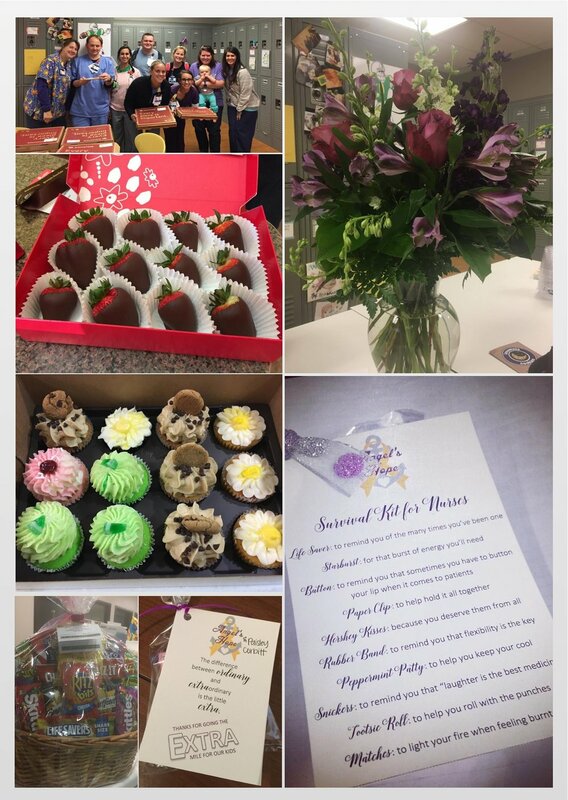 Every year, we surprise the nurses in the Hematology/Oncology Clinic (Clinic 8) and the Hematology/Oncology and Bone Marrow Transplant Units at Children's Hospital in Birmingham with little goodies every day during the week. From pizza and doughnuts to candy and handmade gifts, we strive to make these men and women feel special and loved. They love our children and they care for our children, and they help our families fight the hardest battle that will ever be fought. They make this fight bearable, and for that, we thank them from the bottom of our hearts!